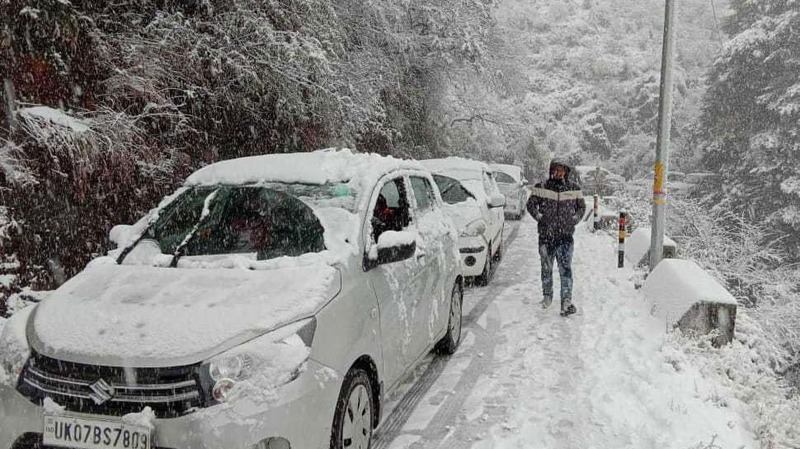 The hill state of Uttarakhand on Tuesday recorded the season's heaviest snowfall which left the hill resorts of Mussoorie and Dhanaulti virtually covered in a thick blanket of snow. 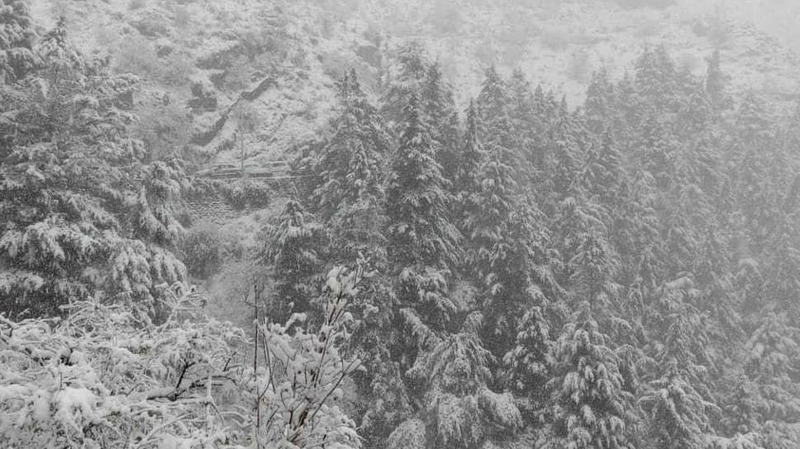 Hundreds of tourists awaiting snowfall have flocked to popular hill stations in Uttarakhand after the weather turned pleasant since Monday. 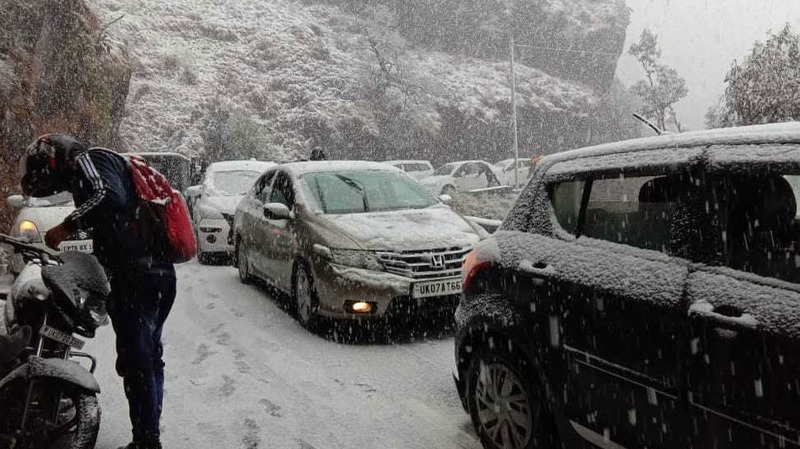 Heavy snowfall in Mussoorie and Dhanaulti was captured by several excited tourists who posted pictures of the snow-capped areas on social media. 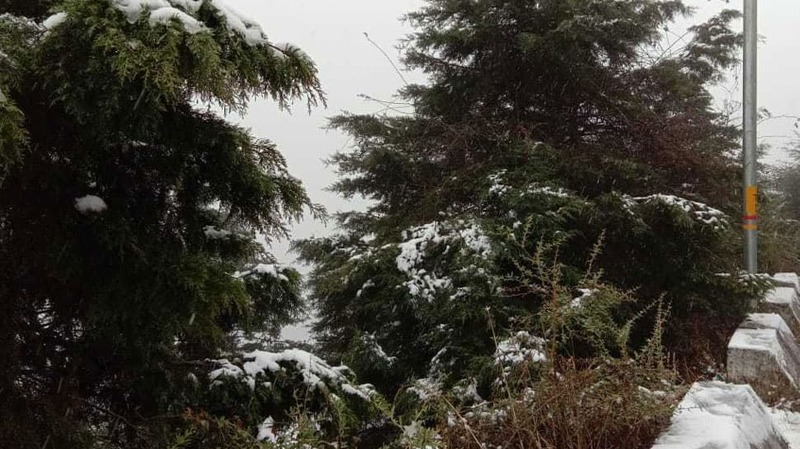 Heavy snowfall was also recorded in the upper reaches of the Himalayas and rain in the lower areas also heralded a fresh spell of cold wave in the hill state. 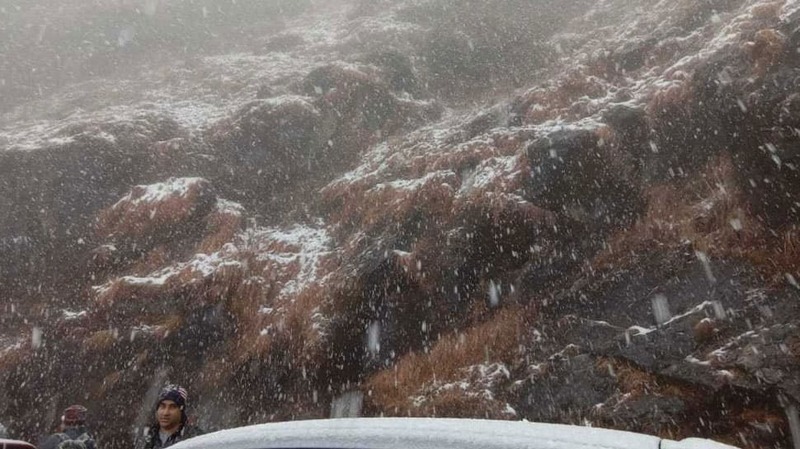 Kedarnath and Badrinath areas are also experiencing heavy snowfall since Monday. 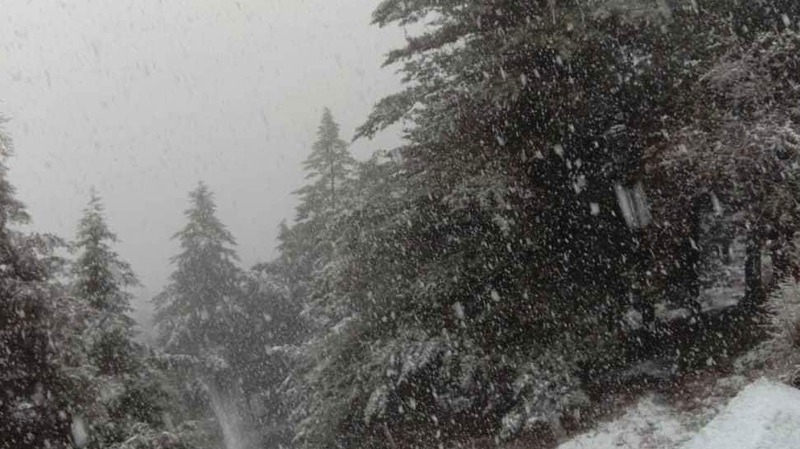 The IMD has predicted heavy snowfall in Uttarkashi, Chamoli, Rudraprayag and Pithoragarh in the days to come. 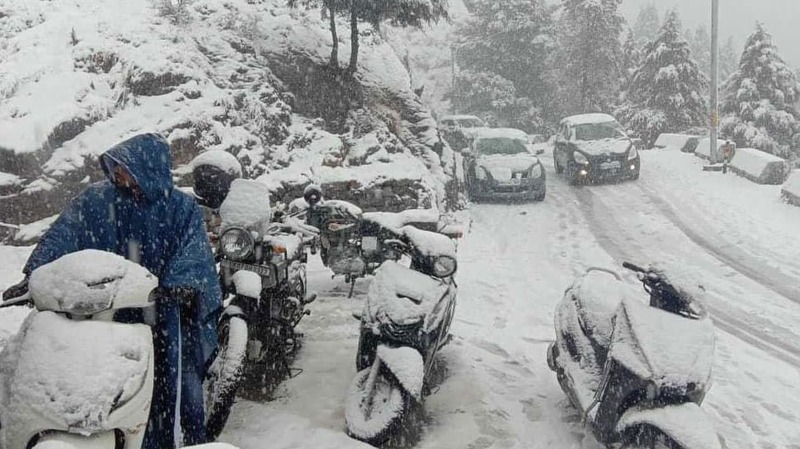 Heavy snowfall has affected the reconstruction works in the upper reaches of Uttarakhand. 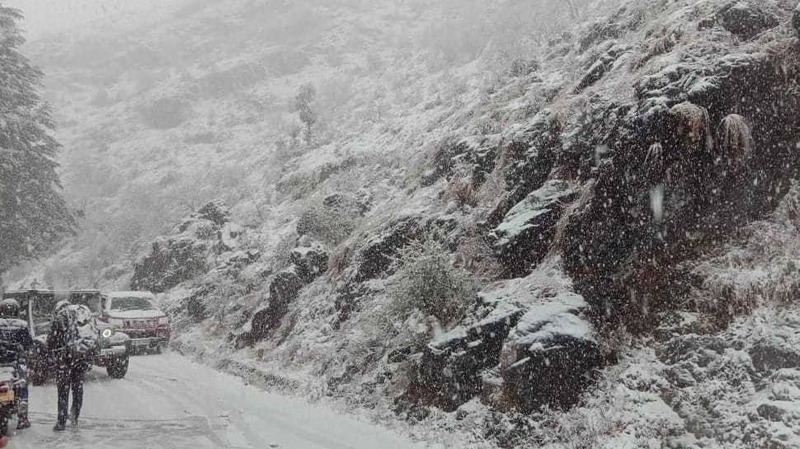 Extremely harsh weather condition has affected the vehicular movement in the upper regions of the hill state. 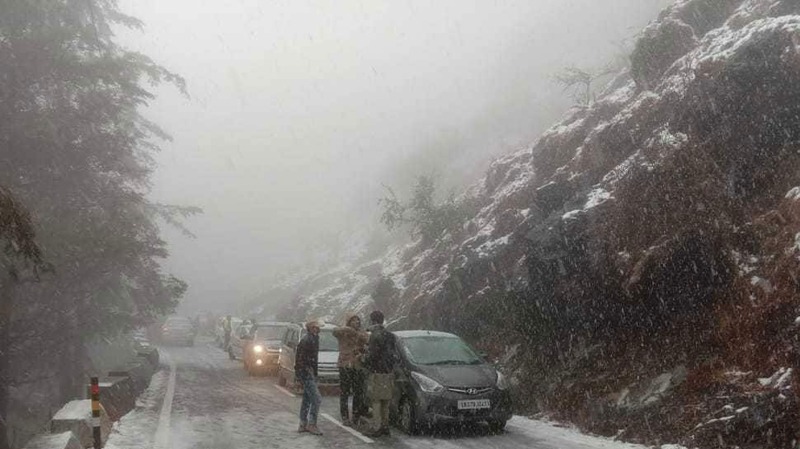 Dehradun, Haridwar, Pauri, Nainital and Udhamsinghnagar are likely to receive hail along with rain in the days to come due to Western disturbance, according to Bikram Singh, Director of the Meteorological Center.